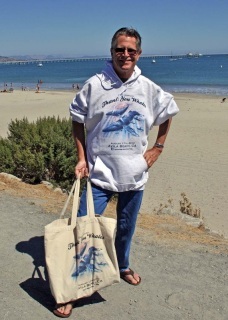 Sea Store - OOG- let's save the world! 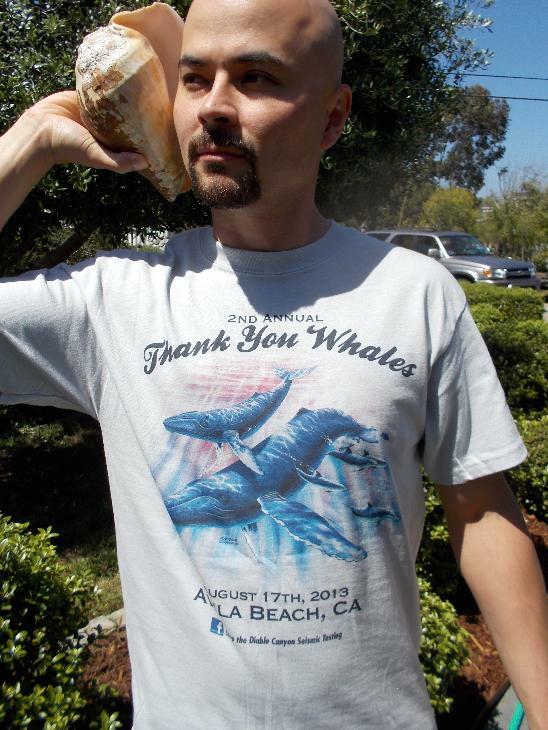 Now you can support OOG even if you can't attend our Thank You Whales Celebration! You will LOVE our stuff! 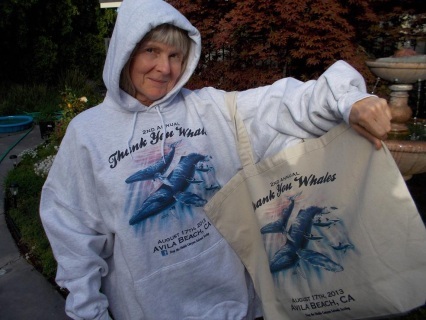 Buy it, wear it, show it off! The art is fantastic and the clothing high quality. Sally designed this magnificent Humpback whale artwork for our 3rd Annual Thank You Whales Celebration adult t-shirt contest ~ and she won! 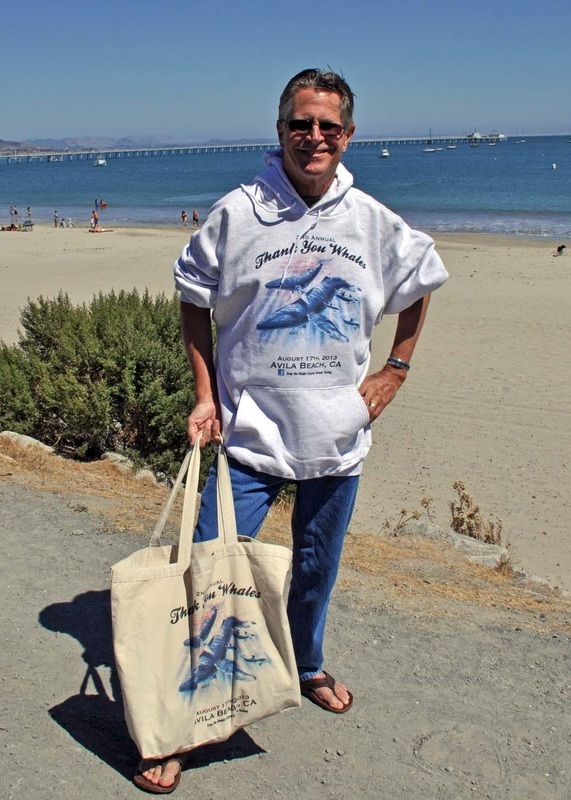 Sally Lamas is an artist who resides on the Central California Coast. We love her beautiful art & you will too! 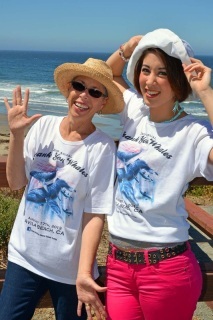 Sarah is our winner of our 3rd Annual Thank You Whales kid's t-shirt art design contest. She's a 2nd grader at Templeton Elementary School in Templeton, CA. 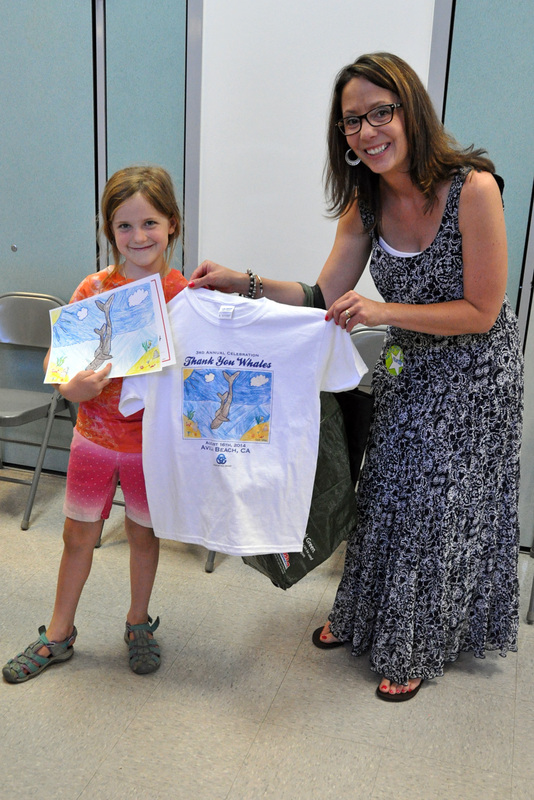 Her artwork was chosen from 120+ beautiful entries, all of which deserved to be on a shirt! 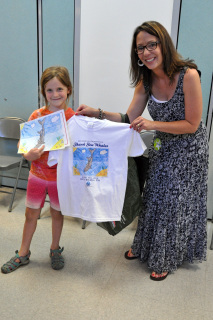 Mrs. Sarah Stafford is pictured with Sarah, presenting the winner with her t-shirt. Many thanks to both of them for making this year's contest a great one! Large heavy-duty canvas shopping bag; perfect for books, groceries, etc.